Check out details and register here ASAP!! 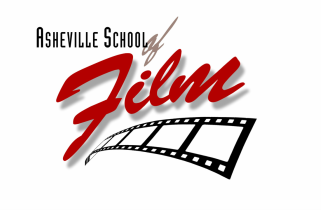 The Asheville School of Film is an exciting, independent film school centered in the beautiful Blue Ridge Mountains of Western North Carolina. We are not only located in the relaxing destination city of Asheville, but are surrounded by an inspiring artistic community. Though established in 2015, our instructors have over 30 years of combined experience at several universities and film schools teaching the principals of filmmaking on both digital and film medium. Contact us to learn more, speak with our instructors, or receive a reference list of former students. In addition to being experienced teachers, our instructors are also working professionals, with a combination of over 65 years in filmmaking and camera operation. As a student of the Asheville School of Film, you will expand your film interests and have opportunities to work with high grade, professional (HD) digital equipment. The Asheville School of Film is focused on providing affordable, short term classes in various filmmaking subjects. Our goal is to provide quality, concise information and experience for those with a general interest in filmmaking and for all skill levels.